Wild ThingsTM products benefit massively from being well lit and concentrated together. We have designed our displays to create high impact with a maximum return on its footprint. The Plinth, with its four-layer rotating tree, and pleasing hexagonal shape, can fit in anywhere, and has some storage available in the base. 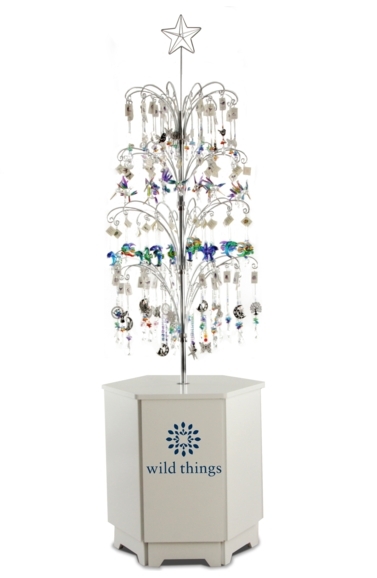 The tree itself comes with 108 hooks in four different sizes, and comes with a selection of wildlife themed Crystal Fantasies and Fantasy Glass. Please allow up to 5 working days for delivery. The plinth will be delivered on a pallet, separately from the stock, and both deliveries can be scheduled for the same day.